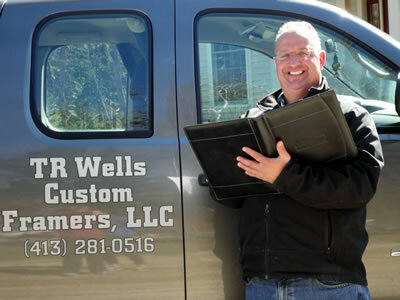 With over two decades of experience, founder Tim Wells has established himself as the “go-to” guy for window construction services and replacement windows in the Massachusetts and Connecticut area. 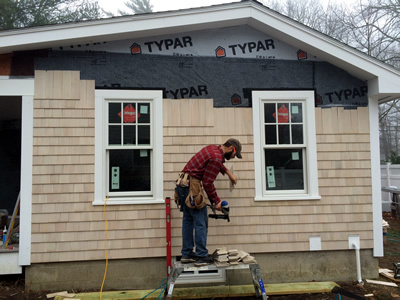 A certified Marvin Window Installer (AAMA) as well as a certified Anderson Window Installer, Tim is an alumnus of the University of Massachusetts Amherst, graduating in 1990 with a degree in business administration. Some of his other certifications include a hoisting license, MA CSL license, CT Home Improvement Contractor license, and OSHA 10. For much of his life, Tim has made home construction and window replacement his sole craft. For 10 years, Tim has dedicated his time to nothing but perfecting his new home construction framing and window installation skills. In this time, Tim has framed many of the estates in Berkshire County that needed windows for properties ranging from 5000 sq. ft. to 12000 sq. ft. One of his most famous projects was for Smith College, which featured a 7' wide x 17' tall window removal and installation in Sage Hall. Now Tim owns and operates Wells Custom Framers LLC, providing replacement window services to homes and businesses in areas from Litchfield County, CT to Berkshire County, MA. The team attends workshops and seminars regularly to stay up to date with the very latest techniques, methods, and products so that customers benefit from the services of the best in the business. Having Wells Custom Framers replace your old windows with new, efficient ones can do more than just personalize your home or business; you’ll save money and reduce your energy costs, and increase the resale value of your property as well. If you need quality, affordable replacement or new windows in Litchfield County, CT and the surrounding areas, give us a call. Contact our experts at Wells Custom Framers today for your remodeling project or your new construction project. We can handle any size job, and can help you whether you know exactly what you want or you aren’t yet sure what kind of windows you need. We’ve been in business in Berkshire County for more than 20 years, and our reputation for high quality work and customer service speaks volumes about our dedication to our customers. Contact us today – we proudly serve Berkshire County, Massachusetts and all surrounding areas with premium new and replacement windows.